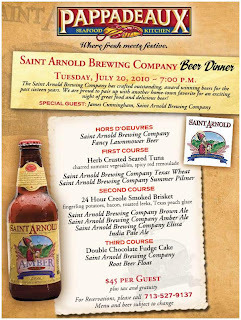 Pappadeaux Seafood Kitchen on Richmond at Kirby is hosting a Saint Arnold Beer Dinner on Tuesday, July 20th. 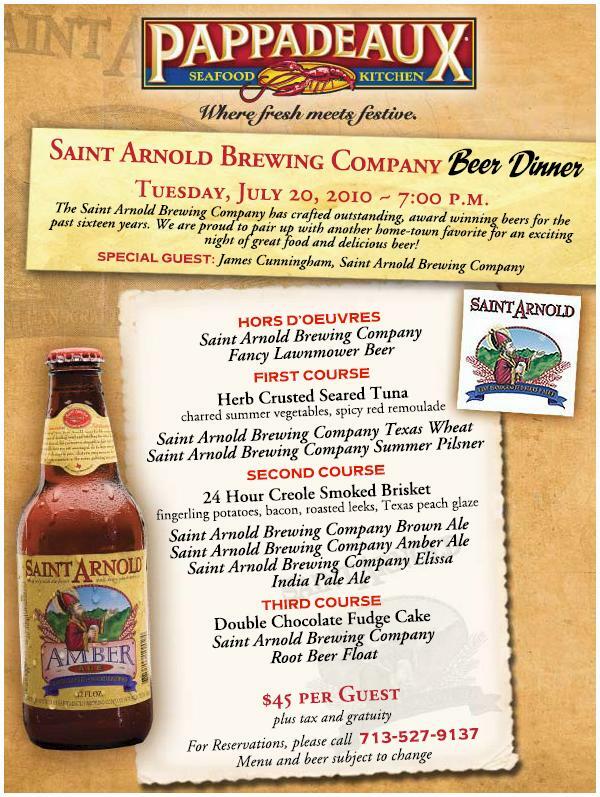 For a price of $45 (plus tax and tip), you will receive hors d'oeuvres and three courses paired with various beers from Saint Arnold. The full menu can be viewed by clicking on the image to the left. For craft beer's sake, I hope this is good. Unquestionably, this is a pass for me though.